The Archbishop of Canterbury and Mrs Welby will pay a return visit to the People’s Republic of China from 24 to 26 April 2019. The Archbishop of Canterbury and Mrs Welby will pay a return visit to the People’s Republic of China from 24 to 26 April 2019, hosted jointly by the National Committee of Three-Self Patriotic Movement of the Protestant Churches in China/China Christian Council and the National Religious Affairs Administration. This is a short courtesy visit to enable the Archbishop to meet the new Protestant church leaders elected at the tenth National Chinese Christian Conference in November 2018 and to develop the already strong relationship between the church in China and the Anglican Communion. The short programme will include visits to Beijing and Shanghai, prior to the Archbishop and Mrs Welby travelling to Hong Kong for a meeting of the Anglican Consultative Council. 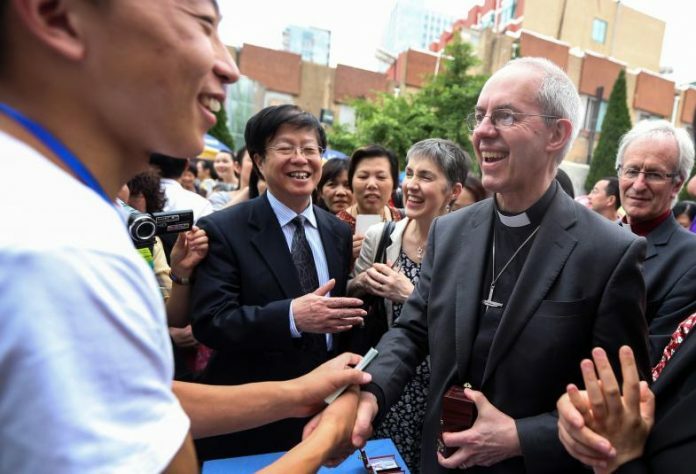 Speaking in advance of the visit, Archbishop Justin Welby said: “I’m really pleased to be making a return visit to China to meet the new protestant church leaders there and to see again at first-hand the wonderful work God is doing through the church in that country.